Surrounded by a loyal team of a dozen colleagues the Cremers family strives to continue the philosophy that has prevailed at A l'Emeraude Chronometry & Jewellery for more than a century: the very personalized attention given to each customer and an abiding respect for the essential values of passion, service, professionalism, loyalty and humility. Since June 2017, the store`s new setting allows it to optimize its customer service and to pass on the passion of fine watchmaking and custom-made jewellery. A new unique space in Switzerland is entirely dedicated to Patek Philippe and Rolex. At the age of 34, Jacques Schwob founds “A l’Emeraude Jeweller-Goldsmith” at Galeries Saint-François in Lausanne on December 24, 1909, with his wife Aline, granddaughter of the great musicographer Matthias Lussy. Since its creation, the brand is distinguished by its active participation in Lausanne life. A l’Emeraude will be one of the first sponsors of “Lausanne Aviation Days” (1911) and the Lausanne Horse Show (1912). In 1910, A l’Emeraude publishes its first advertising inserts in The Lausanne Tribune, Lausanne Delights, The Review and The Grutli newspapers. The style is sober. Men`s and women's watches, “precision watchmaking” and a “Chaux-de-Fonds factory” are barely mentioned. By 1912, advertisements change in content and style. The artistic character of the new visual appeals to the people of Lausanne. 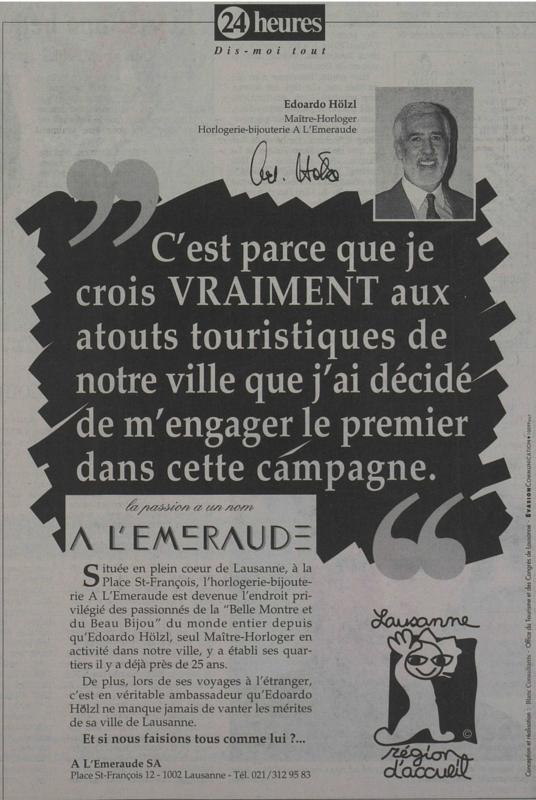 It will become A l’Emeraude's advertising signature for many years. 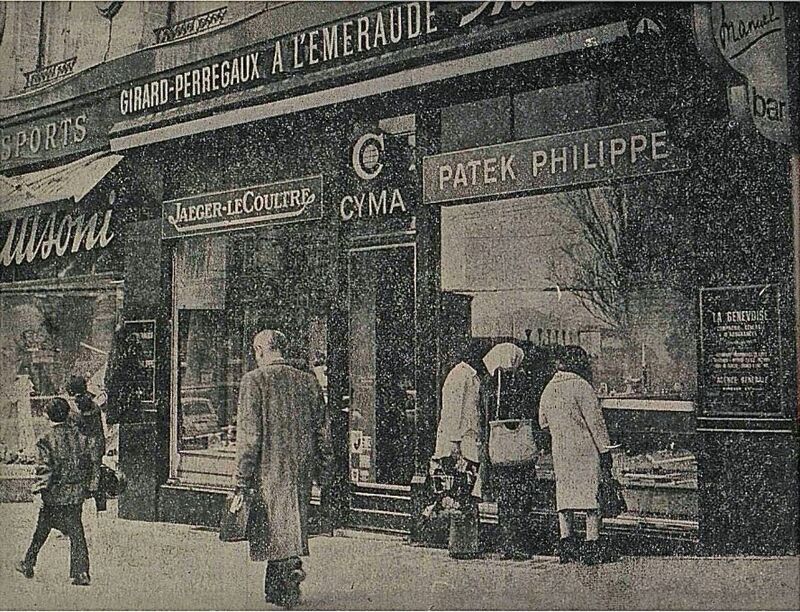 A l’Emeraude moves on June 1, 1919 to 6 Place Saint-François and expands its business name to “silverware, jewellery, watchmaking and luxury goods”. A l’Emeraude is ever more involved in Lausanne life. “The medal given by the University of Paris to the University of Lausanne is displayed for a few days in the windows of the J. Schwob store, A l’Emeraude, Place Saint-François” (The Lausanne Tribune, 4 September 1919). The shop welcomes royalty. Personalities from the worlds of business, industry, banking, trade, academics and art come here to meet and to exchange ideas. 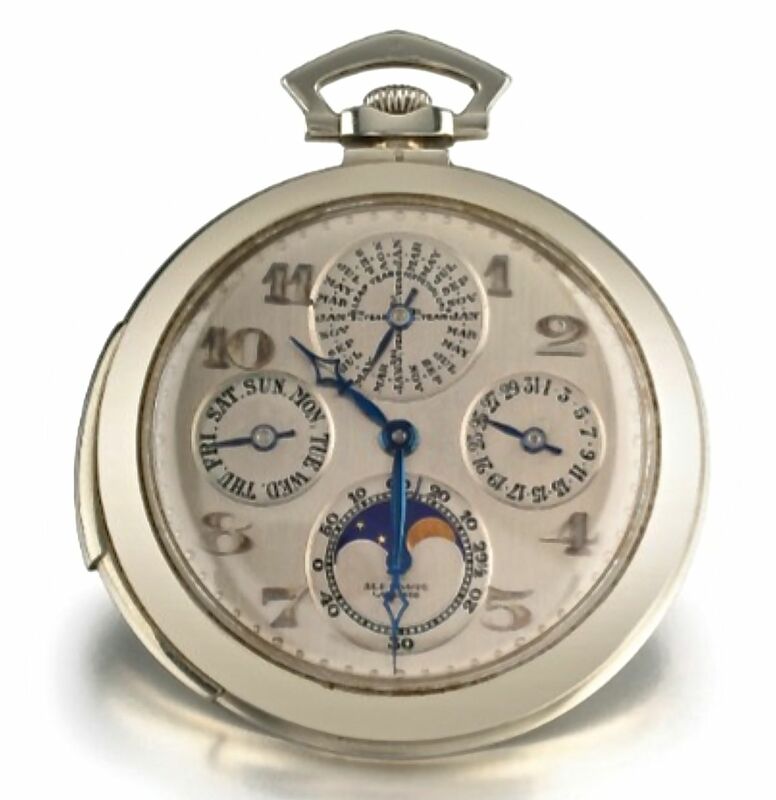 One of the most famous musicians of the 20th century, Franco-Swiss pianist Alfred Cortot, orders a very rare, ultra-thin pocket watch in white gold with perpetual calendar and moon phases. Due to its growing reputation, A l’Emeraude soon needs more space and moves into its new two-storey premises at 5 Place Saint-François in order to improve its customer service. It continues to attract royalty and personalities from around the world. Throughout the thirties, A l’Emeraude doubles its efforts for the benefit of Lausanne`s profile. We mention three examples. In July 1935, on the occasion of the “International Beach Week” bringing together flat boats, canoes, bubble boats, international sailing regattas, miniature model regattas, tanning contests, aquaplaning and Lemanic jousting, A l`Emeraude sponsors the “Bubble Boat Challenge.” (The Lausanne Tribune, July 6, 1935). On September 12, 1935, A l’Emeraude is an important player in the great “Fashion Show” held at the Lausanne Palace in the presence of the film and dance star Gita Horvath. 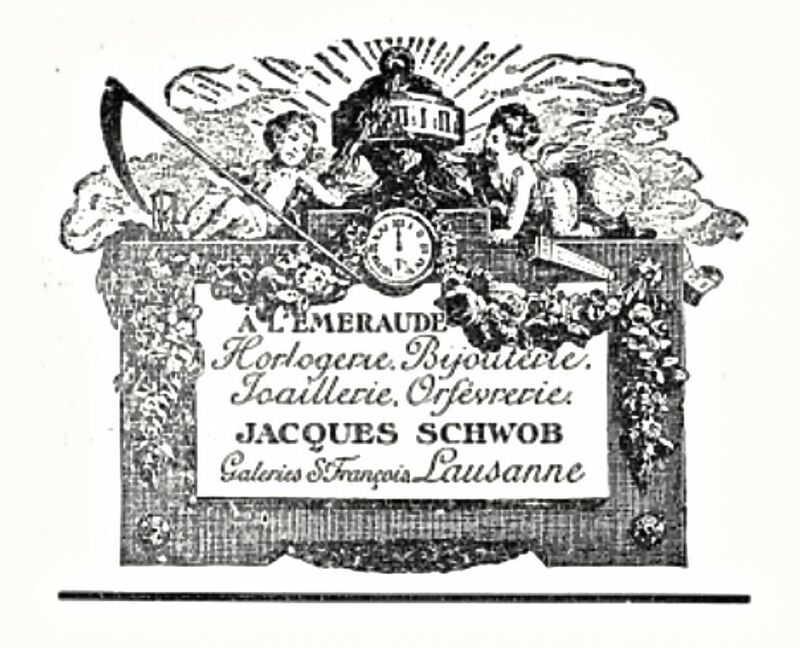 A l’Emeraude turns a historic corporate page when its owner, Jacques Schwob, dies on April 16, 1943. According to the common will of the Schwob couple, who had arranged everything for the business to live on, Jacques` widow Aline Schwob has already become owner of the company on April 14, 1943. In addition to his great jewellery and watchmaking expertise, press articles on the life of the late Jacques Schwob do not fail to recall the other many facets of his life. He is appointed vice-consul of Brazil in Lausanne in 1914, then consul in the 1920s and honorary consul in 1931. He works hard to expand trade between Switzerland and Brazil, especially imports of beautiful emeralds and other precious stones. 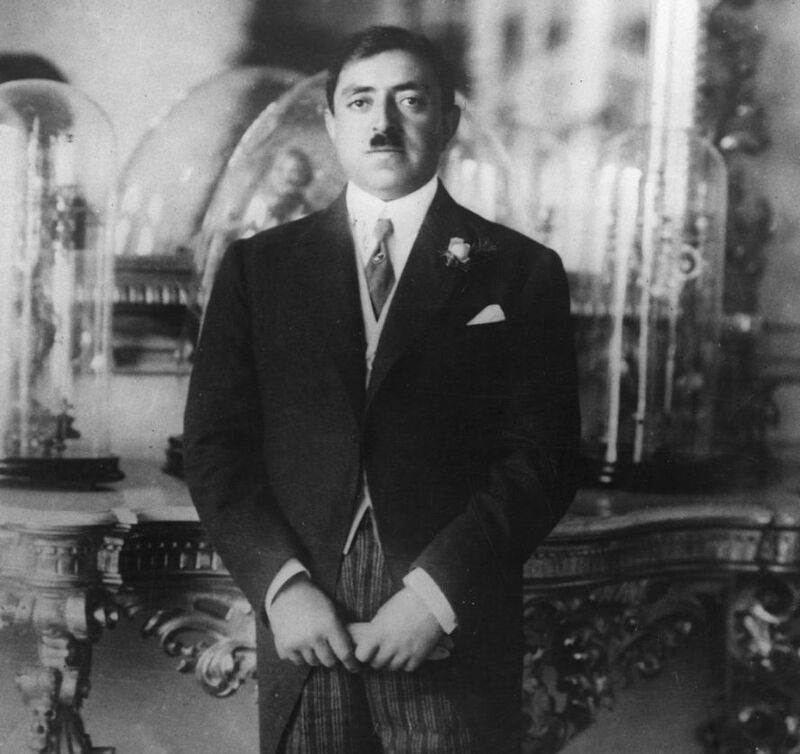 In 1927, he is named Knight of the Crown of Italy in thanks for outstanding services rendered to Italian charities. In 1928, he receives the Knight medal of the French Legion of Honour, also for many services rendered to France. Jacques Schwob also has a great interest in music and musicians, as well as other artists. Jacques is a man of heart, good, kind, cultivated, generous; artists and charities never call in vain for his dedication. His generosity and discreet charity, mark of great delicacy, his character, his interest in a large number of works have earned him the esteem and recognition of many circles in Lausanne. He is also a friend of nature and animals. An excellent horseman, he knows and loves horses. “Everyone who has had the privilege of knowing him holds an emotional memory.” “His death will cause a great void in Lausanne”. The link with Patek Philippe stronger than ever! Mrs Aline Schwob, owner of A l’Emeraude Chronometry & Jewellery, in a very original advertising campaign and noticed in the morning edition of The Lausanne Tribune, emphasizes her particular attachment to the House of Patek Philippe. 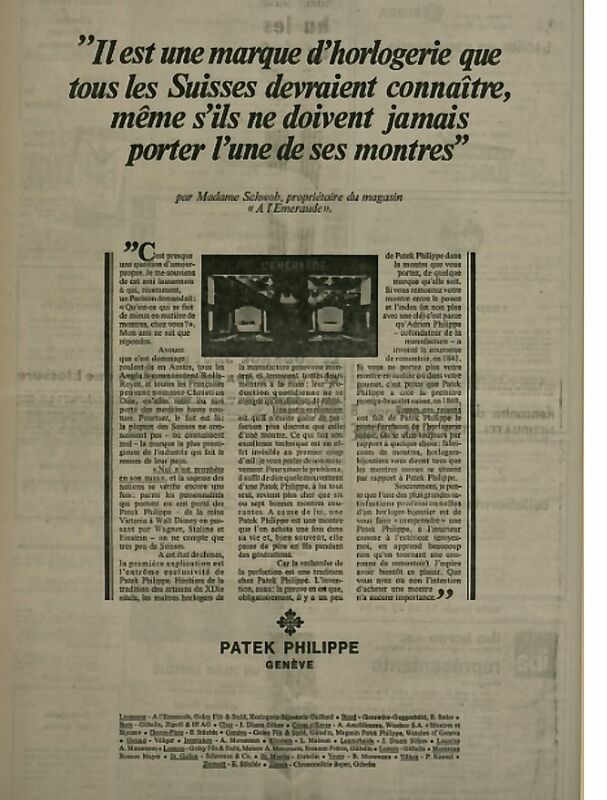 It is true that, at that time, A l'Emeraude already represents Patek Philippe in Lausanne for more than 50 years! “It is a watch brand that all Swiss people should know…Because, in your watch, there is necessarily a little bit of Patek Philippe. It seems perfectly normal to wind your watch between your thumb and forefinger, and no longer with a key, as has been done for centuries. But if that is so, it is because Patek Philippe invented the winding crown, in 1841. A crown that—did you know?—allows you to judge the quality of a movement. I suggest you do a test, in my store: wind a watch, any one; then wind a Patek Philippe. Even with your eyes closed, you will notice the difference: your fingers will experience a velvety sensation which is the sign of the perfection of the gears. If you wear your watch on your wrist instead of around your neck or in your pocket, you must also do it with a Patek Philippe. In 1868, Countess Kocevicz, a.k.a. ‘the Hungarian`, asked Patek Philippe for ‘something special`. To satisfy her, the master watchmakers of the manufacture had the idea of putting a watch on a bracelet: the first Swiss wristwatch was born. Patek Philippe has written many other pages in the history of watchmaking”. After Mrs Schwob stops working, master watchmaker Edoardo Hölzl takes over the A l'Emeraude shop and gives it a new and much more horological direction. 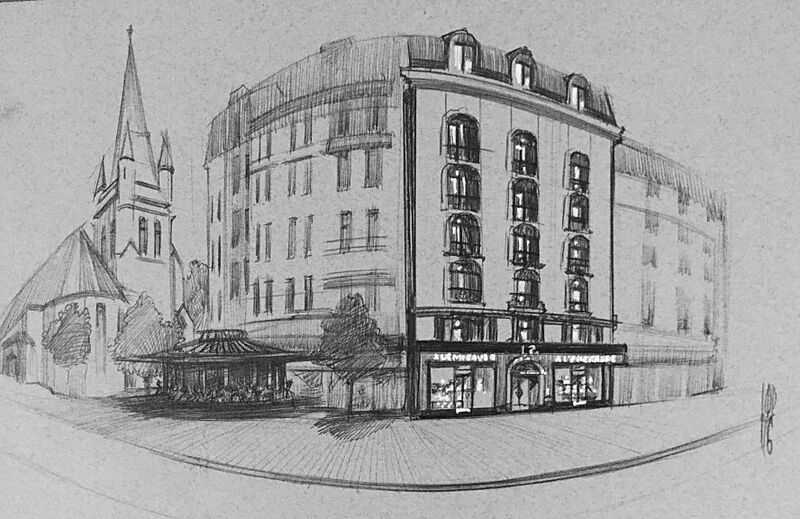 The shop moves to its current address, 12 Place Saint-François, in a building which dates back to 1898, was given a facelift in 1959, and is classified a “building of regional interest” in Lausanne`s inventory. It is the work of the famous architect Henri Verrey, who was also behind the Lausanne headquarters of the Swiss National Bank and Collège Champittet. Edoardo Hölzl will be, in 1995, the first ambassador of the “Lausanne Welcomes You” promotional campaign launched under the aegis of the city's Tourism Office and Congress. Faced with a worrying drop in overnight stays and frequent visits to many of the city's major institutions, the Tourism Office sounded the alarm and asked the most representative and dynamic economic players to come up with creative initiatives to raise public awareness, stimulate interest in the hotel industry, shops and organizations in the city, and to better accommodate tourists. Patrick and Marina Cremers buy the company and become the third owners since its creation. He passionate about chronometry and she about jewellery, they put all their energy into positioning the shop as a genuine chronometry business specialized in high-end watchmaking and making it a reference not only for beautiful jewellery but also for quality service. They choose to represent the brands that are important to them, without giving in to the opportunism of the vagaries of fashion. The Cremers family surrounds itself with a very tight team of six employees who provide the company and its customers with their thorough knowledge, professionalism, complementarity and enthusiasm. Almost all of them are still here in 2017, as well as six new employees. They are real players in the success of the company! 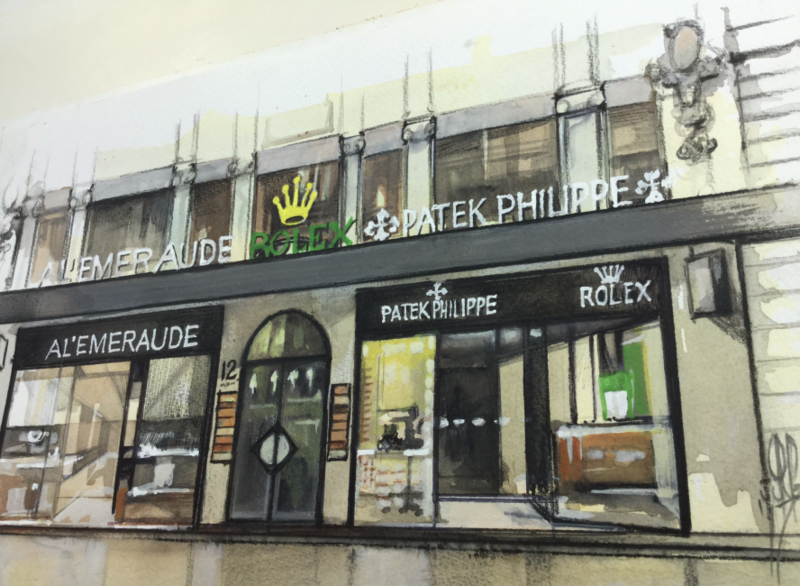 Patrick Cremers takes over the management of the Patek Philippe Salons in Geneva. 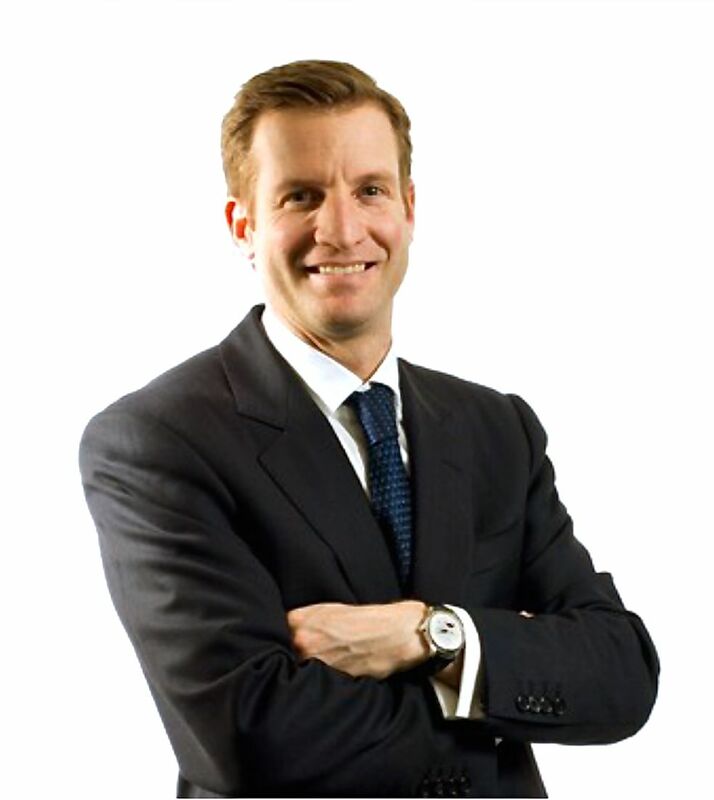 He entrusts control of the family business to his brother Derek, also a specialist in watchmaking and who, along with his sister-in-law and their small team of enthusiasts, maintains a long-term vision. Unlike big cities, Lausanne offers a more authentic lifestyle and a local clientele. Since Derek took over the reins of A l'Emeraude, the city is in full swing, without losing its identity. New political, cultural and commercial players have arrived. The city`s universities rise to world-class level and their prestige contributes to the canton`s new influence. Many international companies and major sports federations thrive around Lausanne—a fabulous dynamic that breathes energy into the local economic fabric that fully benefits A l’Emeraude. Armed with this influence and a deep attachment to Lausanne and French-speaking Switzerland, Derek and Marina Cremers decide to extend the shop. The project is imposing, the sales area going from 60 m2 to more than 250 m2! The project is entrusted to the French architectural firm BEND, a specialist in the layout of luxury boutiques in Europe, whose owner and director, Ralph Bueler, is a long-time partner and friend of the Cremers family. The shop will now be spread over two levels, with new intimate and warm spaces dedicated to a personalized welcome, a workshop perfectly equipped to guarantee the highest-quality after-sales service, as well as a space conducive to organizing original presentations. Above all, the reception will be redesigned in every detail to offer more comfort to customers. Forty years after its establishment at 12 Place Saint-François, A l'Emeraude has given itself a new dimension. It offers an incomparable showcase of Swiss watchmaking know-how in the very heart of the city of Lausanne.